Wood is the most popular type of fence seen in Atlanta as well as across America. Some of the wood that is commonly used includes cedar, white oak, tropical hardwood, and pressure treated pine. A wooden fence typically offers privacy and a beautiful, natural appearance. It also lasts a long time and is relatively affordable. However, the price fluctuates depending on the choice of lumber, design, length, and height. Even so, they typically do require routine maintenance in order to ensure its longevity. This is common, especially among older houses. It is versatile and comes in an array of designs, textures, and heights. Aluminum fencing does not rust, corrode, or fade. As a result, it requires very little maintenance. However, it is usually not as long-lasting as steel and does not provide the privacy that you get from other fences. Wrought Iron is extremely resilient and provides a classier, appealing touch to the fence. Nevertheless, as aluminum, it does not offer much privacy and security. These fences are usually custom-made, which can make them expensive. They also require high amounts of maintenance since you have to repaint and sand them once every couple of years to keep it looking great. Chain link fences are popular among school, parks, sports complexes, and some homes since they are cheap, durable, and require very little maintenance. They are also flexible and straightforward to install. However, they have less aesthetic value as they’re made for utilitarian purposes. They also don’t offer much security or privacy. Usually, people add shrubbery, vines, flowers, and privacy slates to increase their privacy. wood fencing. It can resist paint and is easy to clean graffiti and other unwanted stains. In fact, it requires soap and a hose of water to make it look new. It also doesn’t splint, lowering the chance of anyone injuring themselves on it. All the same, its repair costs are high for any damage or repairs that are needed. PVC fences are designed from recycled plastic materials, including polypropylene and nylon. They are simple to install and mostly requires a screw or adhesive to link the posts together. They can last for long, are easy to mold, and thus you can create a custom design that suits your home. Nonetheless, PVC doesn’t offer a natural look like wood or vinyl. 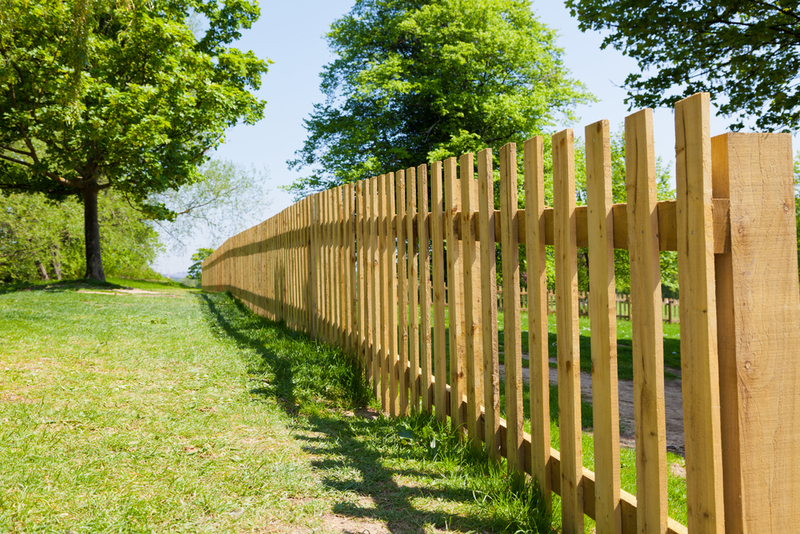 It is also not as strong as other fencing types and can be damaged by extreme weather and temperatures. Bamboo fencing is starting to gain some popularity across America. There are three styles of this type of fencing including bamboo cane, live bamboo, and rolled bamboo. Bamboo cane and rolled bamboo are easy to install and you can use poles to link them and make them sturdy (although not as the wooden fence). Live bamboos, on the other hand, are the most environmentally friendly options and can grow up to a foot annually.